From the beginning, when the software underlying the Bitcoin protocol was launched in 2009, cryptocurrency ownership has provided investors with an exciting experience. Much of that excitement came from factors such as an extreme potential for gain (or loss) in coin value or the possibility of government regulation. These factors were and are beyond investor control. The risk of security breaches is another matter. 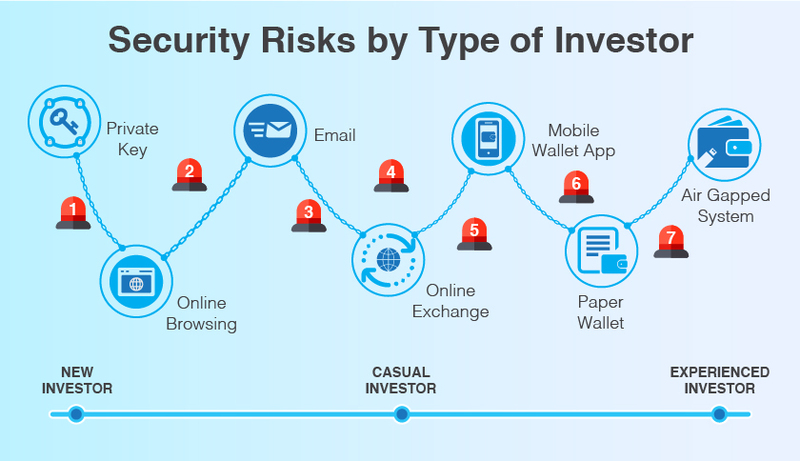 Investors have significant control over the risk of losing their coins in a security breach. There are no guarantees, of course. 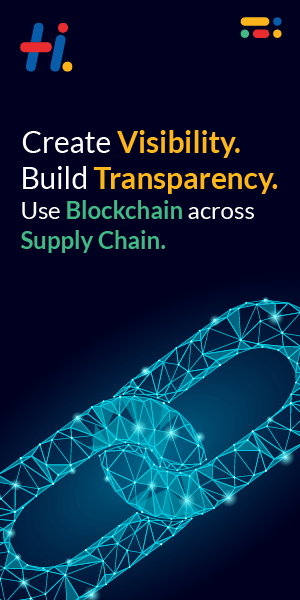 But every cryptocurrency investor can dramatically reduce the risk of security-related losses by using a combination of vigilance, knowledge, and discipline. 1 in 10: That’s the chance that an owner of the cryptocurrency would be affected by a scam. Trick owners into thinking that criminals are legitimate service providers, cryptocurrency startups or other owners of the coin. Before diving into the how-to details of Section 3, “Facing the Challenges of Cryptocurrency Security,” you might want to review some basic ideas that cryptocurrency security is based on. In each case, we’ll provide the basic idea, how it relates to security methods and refer you to other sources if you want more details. Encryption “hides” data by converting data only a computer can read to encrypted data that humans can read. The coded version can be used only if users have another code, which transforms the data back into a format that humans can read. These codes are called keys. The “something” you store it in is a digital wallet, a must-have part of cryptocurrency investment. That “somewhere” can be online storage in a wallet or with a third-party storage service, called an exchange. Offline storage on paper or a hardware device is other (many say more prudent) alternatives. Malvertising. The name tells the story. In this tactic, malicious ads are used to spread malware through criminally controlled online advertisements. The goal: to compromise web browsers and their plug-in. Phone porting. This tactic is a wild mix of phishing, hacking and outright breaking and entering into wallets. Hackers snoop around social media, looking for cryptocurrency-related conversations, in which investors lost their phone and email information. Then, posing as the victim, scammers call up the target’s phone provider. The goal: to fool the customer service representative into transferring the phone number to a device that the hacker controls. There are ways to keep your coins safe when you store them at home or transfer them during a transaction. Ransomware occurs when the malicious software enters your computer and holds your data or access to it, hostage until you pay. Because cryptocurrencies are unregulated, hackers can remain anonymous. To make them even more anonymous, crooks often demand payment in other digital currencies such as Monero. How often do ransomware attacks occur? Often. And, as cryptocurrency values increase and ransomware-as-a-service resources become more common, it occurs more often than ever. But you can learn to recognize exploits that enable ransomware attacks. Take screenshots of your digital exchange accounts and offline digital wallet files. Learn to spot differences between these images and emails you receive from phishing artists. And never follow links from emails unless you are expecting the message. Go to the site directly on your own. Install an anti-malware solution. A no-brainer? Yes. But, many ransomware strains still leave a digital signature. Anti-malware solutions can use these signatures to discover and block threats before you are locked out of your wallet. NOTE: Some analysts include ransomware and outright theft of cryptocurrency in the cryptojacking category. But, we use the narrower definition of cryptojacking, which involves the only cryptomining. Watch for overheating in your devices (including thin mobile ones, like tablets and smartphones). Heat from excessive CPU use might cause the processor or cooling fan failures. The attacks occurred mainly in the financial sector. Targets included banks, payment services, and online stores. Learn to identify phishing emails. Take screenshots of emails from cryptocurrency exchanges and other businesses that handle cryptocurrency-related information. Use them to spot differences between legitimate sites and emails you might receive from phishing artists. Check the source of information of the incoming email message. What information does the sender want? For example, would a legitimate bank ask for it? At 2:57 a.m. on January 28, 2018, in Tokyo, someone hacked into the digital wallet of Japanese cryptocurrency exchange Coincheck Inc. and pulled off one of the biggest heists in history. After the theft of nearly $524 million in digital tokens, authorities started talking about more regulation. And, they started recognizing the advantages of decentralized ways of trading. Initial coin offering (ICO) fraud. Given the hundreds of cryptocurrencies in circulation, it’s easy for criminals to create a fake ICO and arrange for investors to “buy into” their new venture. This is what happened in December 2017, when the SEC shut down the PlexCoin ICO, which the agency claims were a $15 million fraud. Always confirm identities, companies, and resources. If you want to purchase a cryptocurrency mining rig, be sure to buy it from a trusted source with a known transaction history and reputation. But what about securing your computer system? You can do a lot to reduce the risk of false identities. In general, learn how to secure your social media accounts and look for the source of cryptocurrency-related social media content. More likely, a user would lose their coin by sending it to a wallet that holds a related cryptocurrency (bitcoin to a bitcoin cash wallet for example). Theoretically, this problem can be solved. In the real world, you’re probably out of luck. Unfortunately, you are more likely to lose track of your coin by sharing your private key with a criminal–without your realizing it. Misplaced trust, not bad typing, sends coins into an unchangeable, one-way trip to someone else’s wallet. People claim loss by typo because it’s much easier to explain the loss with a typing error than an error in judgment.